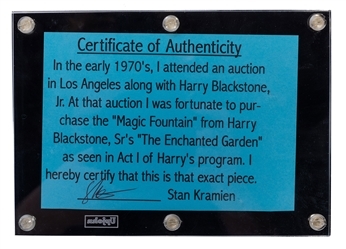 Lot Detail - Blackstone Sr.’s Water Fountain Bowl Production. Blackstone Sr.’s Water Fountain Bowl Production. Blackstone, Harry (Henry Boughton). Blackstone Sr.’s Water Fountain Bowl Production. Circa 1950. 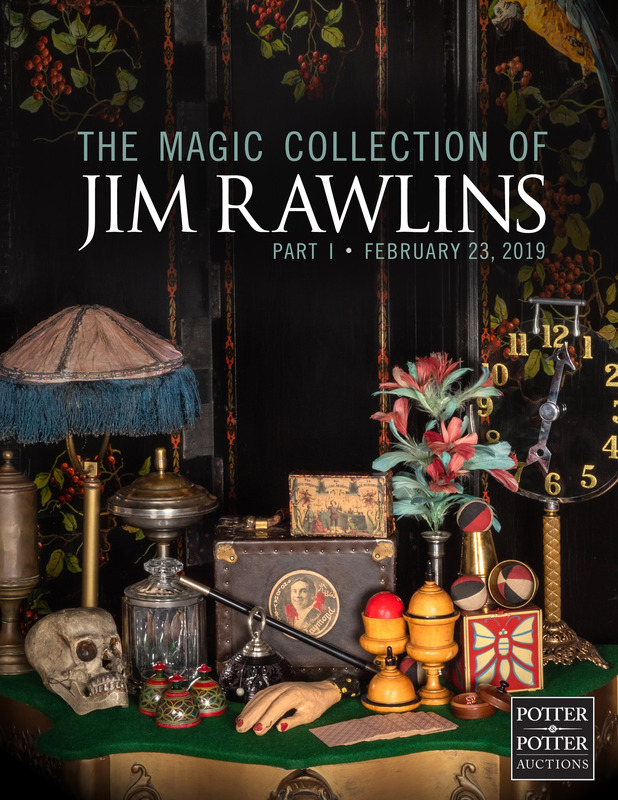 Three graduated bowls filled with water, and with a fountain spurting from their top, are produced on a thin table top. 47” high (extended). Lacks covering cloth. 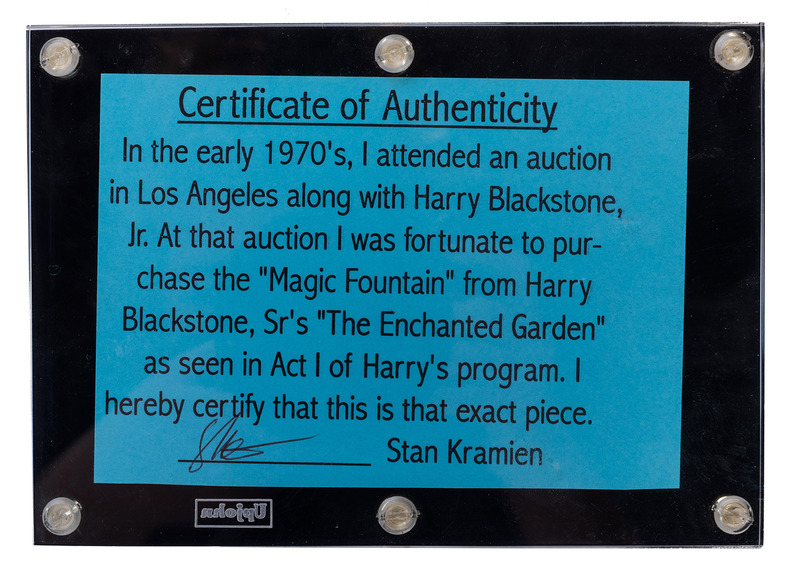 With a LOA signed by Stan Kramien stating that he purchased the prop at the Smith auction of illusions in Los Angeles in the 1970s, in the company of Harry Blackstone, Jr. Blackstone used a variety of flashy production tricks in the opening number of his show, “The Enchanted Garden,” for years. The Water Fountain Bowl production was one such effect.